I love this. LOVE. 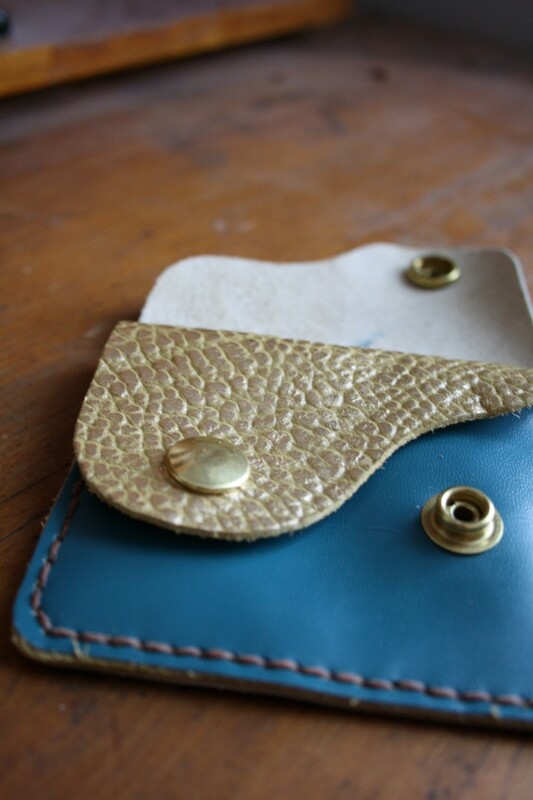 It’s based on an old 60s leatherwork pattern, but made a bit bigger to accommodate credit cards and jazzed up with the kind of colours it was probably never meant to be. Two pockets so you can keep your monies and plastics separated. See how that works? 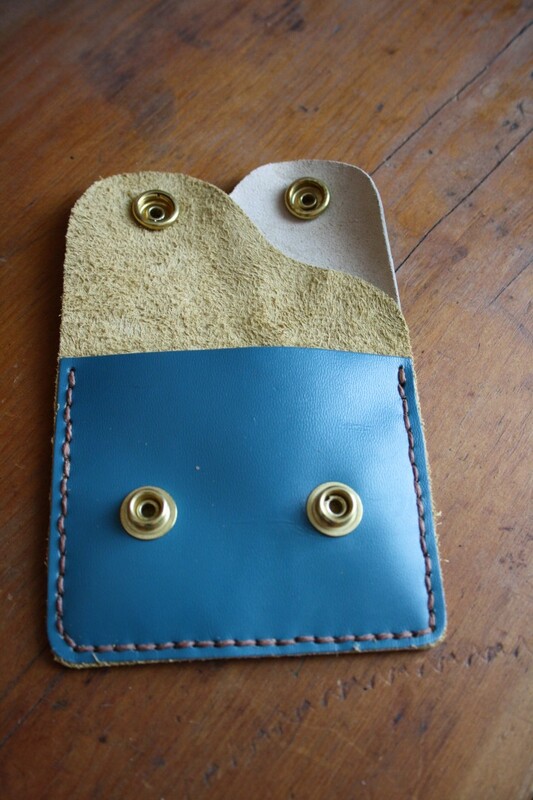 I’m also going to make these out of some vintage ball gloves over the weekend. Brass snaps. The Close Me Two Times Wallet. One for tomorrow. One just for today. I LOVE this! 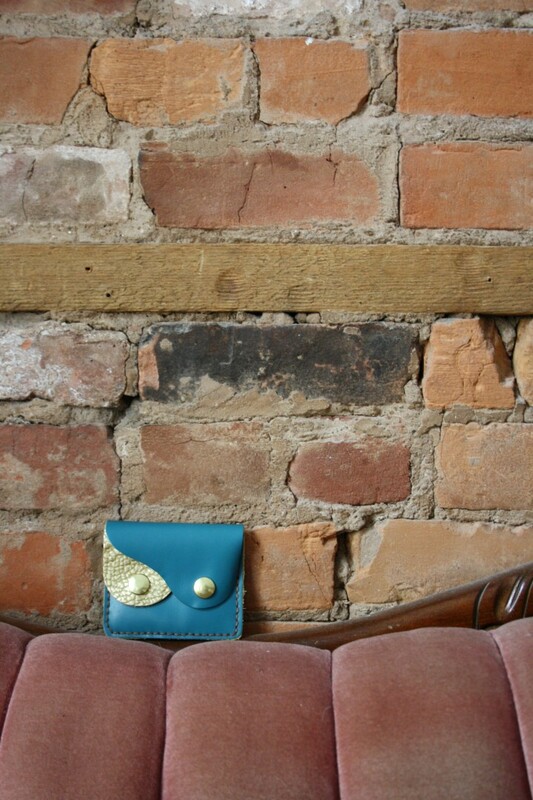 My wallet is so humongous (and falling apart), something so snazzy and small like this might be just what I need. Awww thanks! I’m going to knock off a lot of these in preparation for a potential craft show this December, but I’m also going to list some online this weekend.